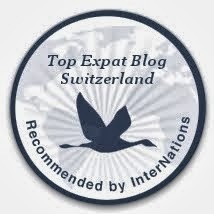 erniemcpeck - Adventures in Switzerland: Ready... Set... Blog! Well here it is - Ernie's first Blog. To be honest, I don't really have much to say, and I doubt that many people will ever read it, but I'm doing it to see how easy it is to use Blogspot. If it's good, I'll recommend it to my girlfriend so she can create her own Blog. It'll be more use to her than to me, as she is a Swiss girl living in England, meaning she is several hundred miles from her family and friends. The Blog will act as a means of her telling stories of her experiences since moving to England, and will be accompanied by photos of her and her life here. It may also be useful for other people looking to move to England, as they may pick up tips about what they need to do to come here, and what they need to look out for. Well, that's all for now. Take care y'all.